Introduced at the 2019 CALLERLAB Convention (even referenced in the keynote speech on Monday morning), we bring you a hot new patter! 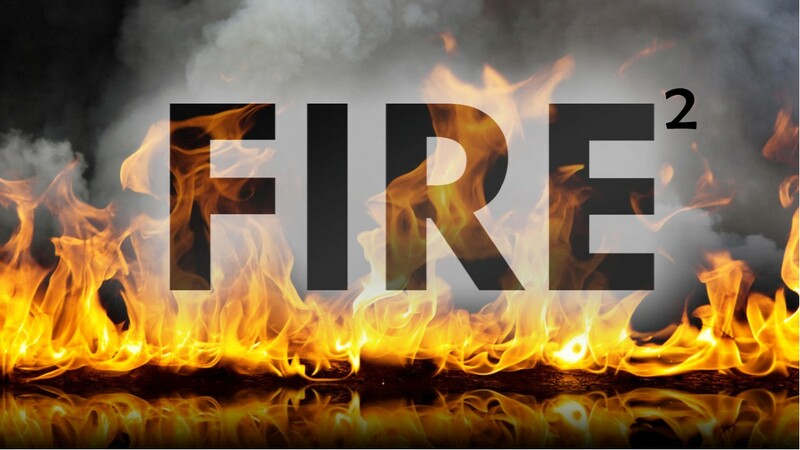 As Jimmy and I were working in the studio, we were pulling up the original track for inspiration and stumbled on the song with the same name, “Fire,” from The Ohio Players. Another smoking hot track, and a mash-up was born. So…we don’t just bring you a hot patter named “Fire.” We bring you double-hot patter of “Fire…to the power of two!” Apply named, "Fire2" (“Fire Squared!”). Jimmy did a brilliant job of making the transitions between the two seamless. We added a few background vocals, mostly the repeating phrases of “Fy-yuh!” Jimmy also did a great job of recreating the chants and such from The Ohio Players track. If you’re not into BGV…a track without them is included..
CHIC4054(4000 series identifies patters and hoedowns) is a blazing hot patter. So hot, it’s almost an inferno…disco inferno… but no, that’s a song for another day. We hope you and your dancers will love it as much as we do! 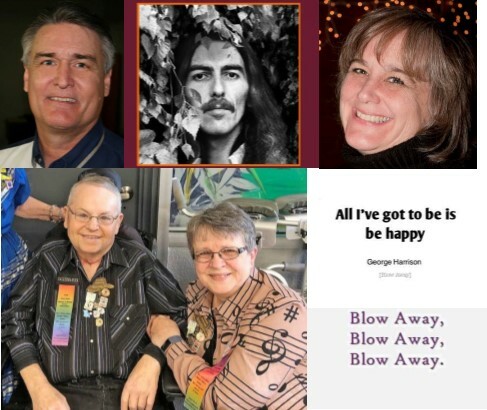 April Release - "Blow Away"
Released in February of 1979 (the year I graduated from High School), “Blow Away” is one of George Harrison’s most popular songs from his solo career. One survey puts it in second place, falling behind “My Sweet Lord” in the number one spot. If the song title doesn’t ring a bell, just give it a listen. Once the chorus hits, you’ll know it and be singing along. “Obvious,” perhaps. But extremely profound. The simple chorus reminds us that “all we gotta do is…be happy.” Challenges come everyone’s way, and we have the gift to choose how we handle them. I have been so inspired by the way that Connie and Eldon Graham (fellow caller and her husband) have dealt with Eldon’s battle with the Guillian-Barre disease, that I am dedicating this song to them. Life has certainly “rained on their parade” for the past year, and if you’ve been following Connie’s posts you know that they have met every challenge with true love, and the kind of positive attitude that can't help but make it “Blow Away.” I look forward to the day I can dance in a square with the two of them, and I know that day will come. Soon! Considering the fact that George Harrison is his favorite Beatle, Staff Caller, Vic Kaaria was a no-brainer choice to record the vocal. In addition to recording a great vocal, Vic’s familiarity with the song was a huge help during the production of the music with Jimmy Mac. As always, Jimmy Mac nailed the music. Tons of fun watching him work the slide on his guitar. Staff Caller, Patty Greene, brought the song to my attention and provided a great vocal for the female vocal range. She has had her hands full the past few weeks, and she still managed to record an awesome vocal and get it to us in plenty of time for the release. Patty rocks!!! CHIC 1053 in the male vocal range features the awesome vocal by Vic Kaaria. CHIC 2053 in the female vocal range features the equally awesome vocal by Patty Greene. March Release - "You Took Advantage of Me"
“You Took Advantage of Me” is a show tune written by Rodgers and Hart and first made popular in 1928, making this the oldest song in the Chic catalog. (Sure hope I’m still this relevant when I’m 91.) Written for their musical “Present Arms,” this song was first sung by a couple who were formerly married, yet still had feelings for one another. That little data point brings a new perspective to some of the lyric. Rodgers himself described the song as a “sassy and unregretful number,” and you’ll find that the melody quickly grabs you, enters the brain, and stays. Dancer response in early previews has been widely positive, and the feet certainly do start tapping when the music starts. When it comes to these early standards, our go-to guy is Chic Staff Caller, David Mee. The first time I ever heard him sing, he was singing “Sinatra,” and his voice and style is a perfect match for this genre. The cut was particularly perfect for David with a title like "You Took Advantage of Mee." As always, he delivered an awesome vocal. When you have a “sassy” song like this, the female vocal just has to go to Chic Staff Caller, Deborah Carroll-Jones. She has a way of taking on the character of the song and giving it the perfect voice. CHIC 1052 in the male vocal range features the awesome vocal by David Mee. CHIC 2052 in the female vocal range features the equally awesome vocal by Deborah Carroll-Jones. February Release - "Baby, Now That I've Found You"
We’ve done something different with this release. While both the male and female range are based on the same song title, they are inspired by two very different versions. 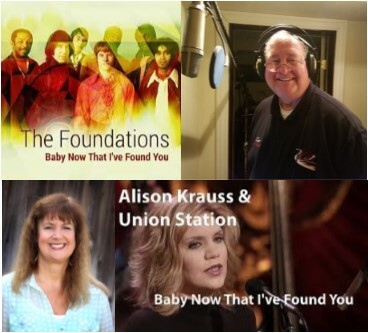 The male key is patterned after the original by The Foundations, and the female was inspired by the 1995 cover by Allison Krause. “Baby, Now That I’ve Found You,” written by Tony Macauley and John MacLeod, was originally released in 1967 as the debut single for The Foundations. It wasn’t long before it took off, and quickly rose to number one on the British charts, climbing the Billboard Hot 100 to number 11 as well. The song received new life in 1995 with a country makeover by Allison Krause, climbing the charts for a second time with a completely different sound. When Hunter Keller brought this version to my attention, I fell in love with it immediately, and plans to produce the singing call began. Rough tracks for both the male and female vocal ranges were prepared using this rendition as our inspiration. As we were nearing completion of the female range track, I started hearing the original song on my oldies station. Likely a coincidence, but it was as if it was there, begging me to not be forgotten. The more I heard it, and I heard it often, the more I was convinced that it also needed to be a singing call. With the female track already in the can, the male track was the only choice for the makeover back to the original sound (sorry Hunter). Although we always produce the male and female tracks separately, sometimes with a slightly different guitar voice, this is the first time we’ve used the two keys to produce completely different arrangements of the same song. When it came time to record the vocal, Scott Smith had embraced the song, and the new arrangement. A new grandchild for Scott, and recording deadlines for us, meant that Scott couldn’t get down to the studio to record his vocal. We packed up the equipment and met him at the California/Nevada state line (the halfway point) and recorded in a room at Whiskey Pete’s casino. As always, Scott was completely prepared, and did a fantastic job with his vocal before heading back north to Logan to meet his newest grandbaby. Allison Krause is blessed with one of the most angelic voices on the planet. Recording a cover of anything she sings is an intimidating challenge. The average female voice does not have the range that Allison does, so this key has been adjusted (lowered) to match more of the female calling population. Although a challenge, I truly enjoyed recording the vocal for this beautiful song and arrangement. CHIC 1051 in the male vocal range features the awesome vocal by Scott Smith with background vocals by Jimmy Mac and Shauna Kaaria. CHIC 2051 in the female vocal range features the vocal by Shauna Kaaria. January Release - "Hurt So Bad"
Our January 2019 singing call marks release number 50 for Chic Recordings! For this milestone release, we give a little nod to our inaugural release of “You’re No Good,” with “Hurts So Bad,” another power (you done me wrong) ballad by Linda Ronstadt. “Hurts So Bad” was written by Teddy Randazoo, Bobby Weinstein, and Bobby Hart, and was first popularized in 1965 by Little Anthony & The Imperials. It hit the top ten in 1965, but the cover by Linda Ronstadt in 1980 was most successful version of the song, peaking at #8 on the Billboard Hot 100 in the spring of 1980. 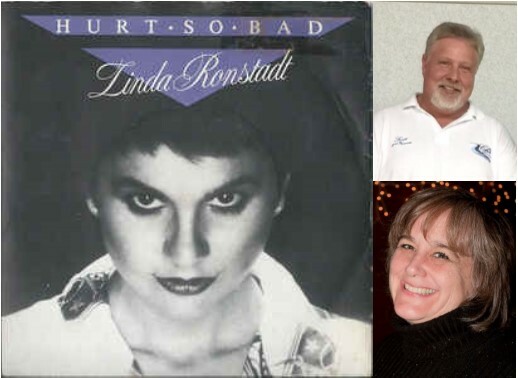 Linda's version served as the inspiration for our release. Linda’s cover of the song featured a scorching guitar solo as part of the bridge, and we’ve done the same in the middle break of our release. Jimmy Mac did an amazing job capturing the sound of the solo originally played by Danny Kortchmar. It’s a testament to Jimmy’s musical abilities that he is able to capture it all in two separate keys! Scott Bennett nailed the vocal for Chic’s inaugural release of “You’re No Good,” and then delivered two equally great vocals for our other two Ronstadt releases (“Just One Look” and “That’ll Be the Day”). There was no question that we would go back to Scott for the male vocal for “Hurts So Bad.” As expected, Scott nailed it again! Scott appears courtesy of Crest/Acme/Peak Recordings, and we sure appreciate his ongoing support of Chic. While I had initially planned to record this vocal myself, I took a step back and realized that it would be a waste of the talent I have on the Chic staff if I didn’t give this power ballad to Patty Greene. Patty has the attitude, range, and power to nail this song, and nail it she did! Patty also made the time to get the vocal recorded with a very short lead time, allowing us to have the release ready on time. We’re very lucky to have her as part of the Chic team! CHIC 1050 in the male vocal range features the awesome vocal by Scott Bennett. CHIC 2050 in the female vocal range features the equally awesome vocal by Patty Greene. November Release - "Here Comes That Rainy Day Feeling Again"
The song has been sitting on Chic’s “possibles” list for a while, until two things pulled it off that list and on to the fast track for production. First, I received a message from Kim Oxendine telling me she had a “great idea” for a Chic recording. She was so excited about the idea and felt it was a great cut for Chic to tackle. It took very little coaxing from Kim for me to pull the production trigger. We had barely finished our conversation before I logged into the Clearing House and reserved the song for Chic Recordings. The timing of Kim’s message coincided with the completion of Chic Recordings’ first Weekend Getaway. The weekend was held in Big Bear Lake, and scheduled for a time of year where there is typically no fear of rainy weather. Two weeks before the weekend, I checked the weather forecast, and all was clear. Ten days before, I checked again and cringed. Rain was in the forecast and scheduled to hit the Saturday of our dancing weekend. With much of the dancing scheduled for outdoors, my “rainy day feeling” was hitting in full force. Very long story short, the weekend arrived and we had a beautiful night dancing under the stars on Friday night. Shortly after midnight, the rain came in, along with thunder and lightning. 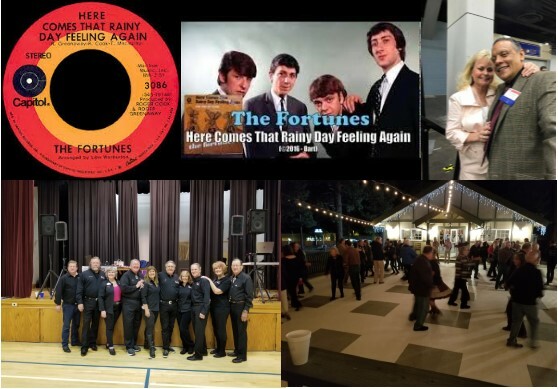 We refused to allow it to rain on our parade, moved the dancing inside for the day, and found refuge for the Saturday evening dancing at a local church with a large dance hall. The event will go down in history as the first time all seven of the Chic Staff Callers were able to call together, and it was a huge success in spite of the rain. 12+ squares of dancers joined us for the event and we are already looking forward to next year…with NO rain! Come and join us!!! CHIC 1049 in the male vocal range features my favorite caller, Vic Kaaria. CHIC 2049 in the female vocal range features my vocal, with backgrounds for both provided by Jimmy Mac and myself. October Release - "Monday, Monday"
Fall is here, and we have a fun release for you! 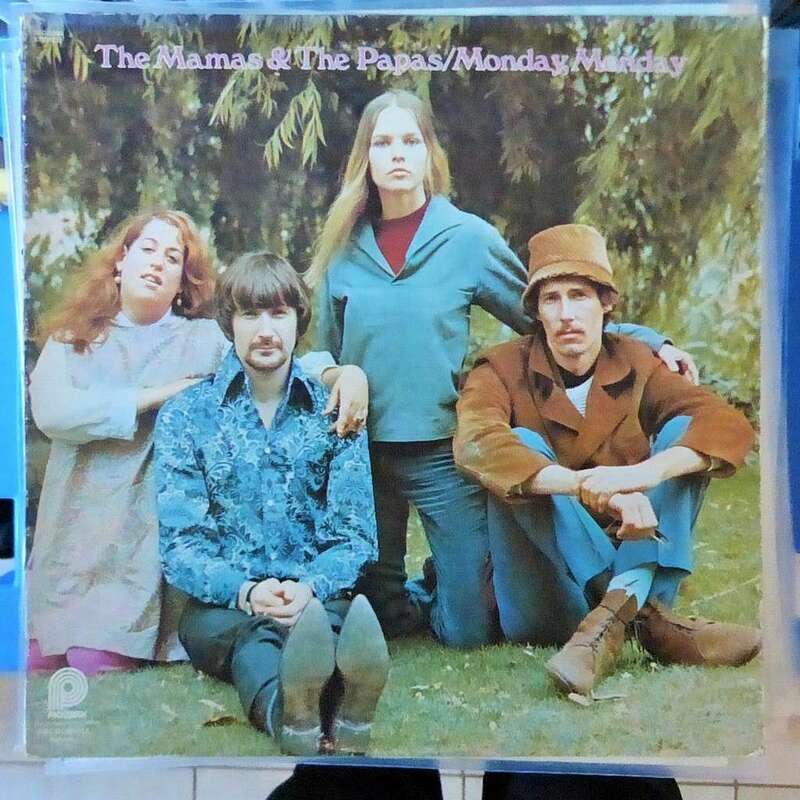 “Monday, Monday” was written by John Phillips and, according to Wikipedia, he claimed to have written it in just 20 minutes. That's what I call inspiration. Released by The Mamas & the Papas in 1966, it quickly rose to #1 on the charts and was the only #1 hit for the group. In March of 1967, the Mamas & the Papas won a Grammy for “Best Pop Performance by a Duo or a Group” for this song. As we listened to the original song (something we always do in preparation of creating our first rough tracks), Jimmy Mac said, “Man, that sounds like Hal Blaine.” The name didn’t ring a bell for me, so I quickly set about googling it. Sure enough, the drums for the original “Monday, Monday” were recorded by none other than Hal Blaine of “The Wrecking Crew,” a group of studio musicians that were widely used in the 60’s and 70’s. 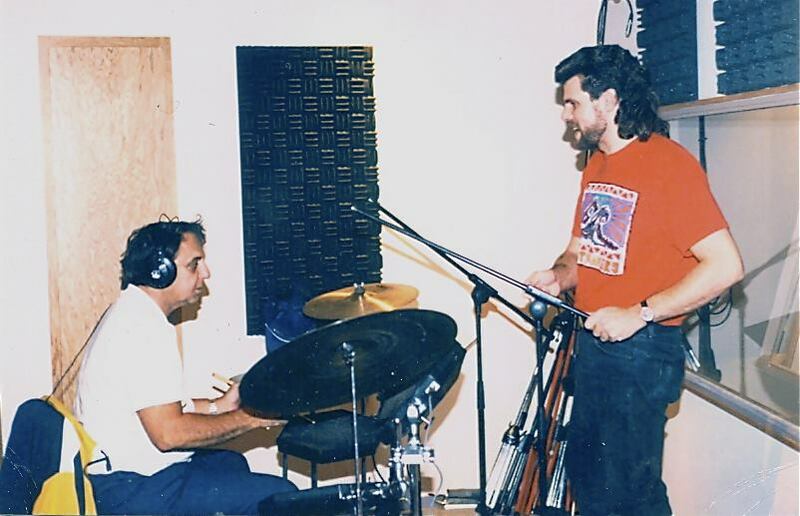 Jimmy has spent time in the studio with Hal (see cool Jimmy-mullet picture), but I was still amazed that his ear could identify that it was Hal’s drumming on the track. Impressive! CHIC 1048 in the male vocal range features my favorite caller, Vic Kaaria. CHIC 2048 in the female vocal range features my vocal, with backgrounds for both provided by Jimmy Mac, Vic Kaaria, and myself. We've been releasing singing calls every month this year (two in some months), so a new patter from Chic was due! We went one better than a new patter FROM Chic...this new patter IS Chic! "Le Chic!" is a medley of three hits from the band, Chic (popular in the late 70's). Even if you don't recognize the name of the band, you're gonna recognize these songs. 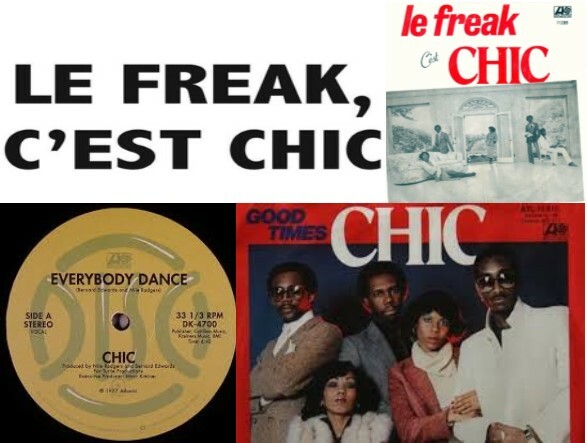 This Chic mash-up starts with the smash hit, "Le Freak," before moving on to the cool groove of "Everybody Dance," and then finishing with "Good Times." Jimmy Mac pulled out his monster bass guitar and went to town playing the funky bass grooves of the era. We added just a hint of the background vocal "catch phrases" of each song, and created a second track with no BGV at all, for those who prefer it that way. There is no question that this music will make everybody dance! CHIC4037(4000 series identifies patters and hoedowns) is an awesome piece of patter music that starts the feet moving from the first beat. One caller actually "complained" that it was a medley. "Each part is so good, I want three separate patters!" No apologies...we love it just as it is. "Le Chic!" I pulled up the original song and created a singing call arrangement in my head that I thought would work. We went into the studio and made a rough cut and sent it to Tony. He and I both played with it some, and I discovered that I just could not call to it the way it was cut. He confirmed he was having some difficulty, as well. Back into the studio I went, taking my favorite caller (major Eagles fan) with me. He, Jimmy, and I pulled out all the rhythm tricks we knew to try to make it “dance” and “callable,” without success. Heartbroken, I spoke to Tony at Nationals and told him it just wasn’t going to work. As everyone knows, I have an amazing staff on Chic Recordings and any one of them would have knocked this song out of the park. In fact, it would have been hard to choose. But since it was Kim’s post about the Eagles concert (and her claim about how great he sings it), that brought the song back to my mind…this one had to go to Tony Oxendine. Tony and Royal Records have been a huge support of Chic from the beginning, and I can’t overstate how appreciative I am for that. As we sat in the studio and added Tony’s heartfelt rendition to the music track, I got goosebumps. It is understated, and it is beautiful. Those are the exact same words I would use to describe Henley’s vocal so when we are talking about who sings it better…I say we’ll call it a draw! 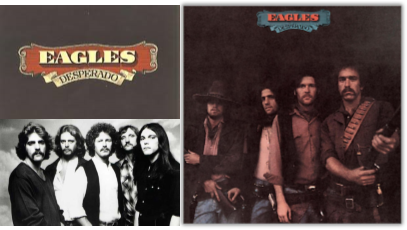 Musically, our rendition of “Desperado” is all Eagles. But everyone knows that Linda Ronstadt also recorded an amazing rendition of this beautiful ballad. 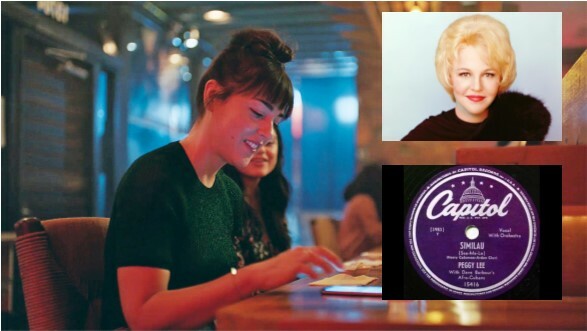 In fact, Henley credited Ronstadt for popularizing the song with her early cover, and described her version as "poignant, and beautiful." It is no secret that I love Linda Ronstadt and have recorded a number of Ronstadt songs on both Fine Tune and Chic Recordings. Our inaugural release was a Linda song (You’re No Good), and I had searched for another to be our anniversary release. With “Desperado,” while we don’t actually have a Ronstadt song, we do get a little nod to our beginnings. Singing this song myself was, in short, terrifying. With the support of my favorite caller, and Jimmy Mac (who is not just an amazing engineer, but also an amazing vocal coach)…I stepped into the booth and gave it my best. I recorded mine before Tony sang his (thank goodness, because total intimidation would have stepped in). I sent the female track to Tony, so he could hear what we had done with the finished music and harmonies and he sent me the following text. “Absolutely beautiful vocal. I can’t stop listening.” It made me cry. CHIC 1046 in the male vocal range features the amazing rendition from Tony Oxendine, courtesy of Royal Records. CHIC 2046 in the female vocal range features my vocal, with backgrounds for both provided by Jimmy Mac, Charlie Robertson, and myself. 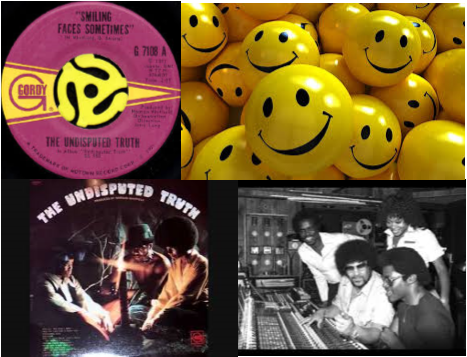 August Release - "Smiling Faces Sometimes"
“Smiling Faces Sometimes” was written for the Motown label by Norman Whitfield and Barrett Strong. The Temptations were the first to record it, with an interesting arrangement (12 minutes worth) intended to bring feelings of fear and timidity. A shorter version was planned for a summer of ’71 single release, but was dropped when their lead singer left the group. Norman Whitfield then re-recorded the song with his brand-new trio, The Undisputed Truth. Whitfield was known for recording dramatically different versions of the same song, which is exactly what he did here. This new version left the “haunted house” sounds behind, in exchange for a more psychedelic/soulful arrangement. The lyrics refer to “back-stabbing” people who will smile to your face while doing you wrong behind your back. It was released in May of 1971, and quickly rose to #3 on the charts. It’s a great song with a killer hook, and let's face it...square dancing could use a little more Motown! Staff callers Vic Kaaria and Patty Greene were the perfect choice for these vocals, and they both knocked it out of the park. As usual, background vocals supplied by Vic Kaaria, Jimmy Mac, and myself. CHIC 1045 in the male vocal range features the great vocal from my favorite caller, Vic Kaaria. CHIC 2045 in the female vocal range features a vocal with just the right attitude from Staff Caller Patty Greene. July Release - "You Keep Me Hanging On"
“You Keep My Hanging On” was originally released in 1966 by the Supremes and quickly rose to #1 on the charts in America. In 1986, it was covered by British artist Kim Wilde (a more pop/disco version) and again rose to #1 on the charts in America. In the first 32 years of Billboard’s Hot 100 rock era, only six songs achieved the feat of reaching the number one spot with two different artists. It has been covered by many artists over the years. 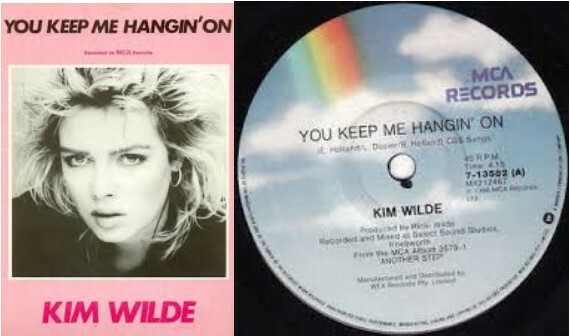 For this Chic release, we used the 1986 cover by Kim Wilde for our inspiration. The music is full of energy and dancers are loving it and singing along. Staff callers Scott Smith and Patty Greene both delivered great vocals, with background vocals supplied by Vic Kaaria, Jimmy Mac, and myself. CHIC 1044 in the male vocal range features the great vocal from Staff Caller, Scott Smith. CHIC 2044 in the female vocal range features an equally great vocal from Staff Caller Patty Greene. Ghost Riders and our NSDC Release - "Precious and Few"
Why do I have pictures of the Ghost Riders, you ask? 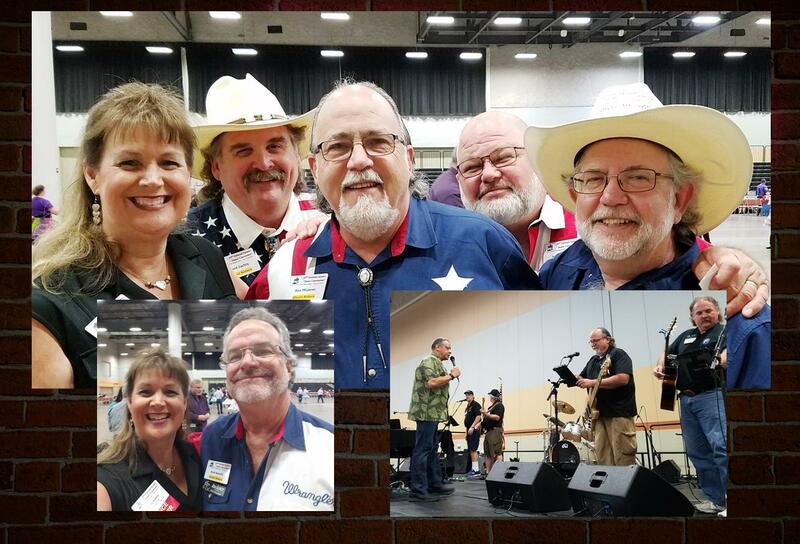 Because the 67th National Square Dance Convention is just two weeks away, and the Ghost Riders have added even more Chic releases to their playlist! This brings the total number of Ghost Riders Playlist tunes from the Chic catalog to lucky number seven! We are celebrating by putting all seven on sale from now thru 6/30/18, the day the NSDC ends. Prices for the following releases, "Blue California-020," "Cleopatra Queen of Denial-009," "For What It's Worth-015," "Oh Happy Day-040," "Rolling Along-029," "Till There Was You-008", and "You're No Good-001" have already been reduced in the Chic Boutique. Now for our mid-June pre-Nationals release, "Precious and Few." At the risk of dating myself, I have a keen remembrance of this song being played at school and church dances throughout my early teen years. It has remained a favorite, and I was so excited to bring it to life again for Chic Recordings. Since the song had been cut for square dancing before (quite well, I might add), I knew we had to add something to this production. With one ear on the original release, we did our best to match the sound of Climax in our music. As always, Jimmy Mac did a phenomenal job. Once the lead vocals were recorded, we went about adding the extra magic of background vocals. Early feedback on the new production has been extremely positive, including this from Wade Driver. "Here is a flash. Chic 1043, Precious and Few, is coming out soon. If you can carry a tune, male or female, and don't have this song in your repertoire, you are missing the boat. I just heard it today and it is superb. Will make any caller sound good. Just saying." Well, I'm "just saying"... it's that kind of feedback that makes me want to pinch myself every day. This ballad was a perfect fit for the voice of Staff Caller, Steve Moore. I’m running out of nice things to say about what Steve brings to the Chic family. He has one of those voices that you could listen to all day long, and never tire of it. He knocked this beautiful song out of the park. The female key was recorded by producer, Shauna Kaaria (me), and I also added my voice to the background tracks for both the male and female cuts. CHIC 1043 in the male vocal range features the beautiful vocal from Steve Moore. CHIC 2043 in the female vocal range features the vocal by Shauna Kaaria (me). June Release - "Similau (See-Me-Low)"
“Similau (See-Me-Lo)” was a 78 RPM single recorded by Peggy Lee and released on Capitol Records in 1949. It has recently reached a brand-new audience, being featured on the soundtrack of a television commercial for Samsung. In fact, it has been called “the TV spot that launched a million Shazam searches.” The song caught the attention of my favorite caller, and myself, while watching TV one evening, and I put it on our “possibles” list. Shortly after, I received an email from Chic Recordings Staff Caller, Deborah Carroll-Jones, also suggesting the song. That was all it took for me to pull the trigger on the producton, and into the studio we went. Jimmy and I had a blast with his box of percussive instruments, using many to make this cool rhythm track groove in all the right ways. I had been waiting for just the right song to invite Justin Russell to record a guest vocal. As I was pondering which male voice would be the best fit, I realized that this was the right song for Justin. Thankfully, he agreed, and he recorded the vocal exactly the way I imagined it to be. Justin appears courtesy of Royal Records. As always, I appreciate their support! As previously mentioned, “Similau” was suggested by Deborah Carroll-Jones, and there was no way anyone else was going to record the vocal for the female key. I challenged her to “go all Peggy Lee” with it, and she did just that! She even got creative with some “limbo” choreography. We are so lucky to have Deborah’s talents as part of the Chic Recordings staff! CHIC 1042 in the male vocal range features the great vocal from Justin Russell (courtesy of Royal Records). CHIC 2042 in the female vocal range features Staff Caller Deborah Carroll-Jones singing a vocal that would make Peggy Lee proud. 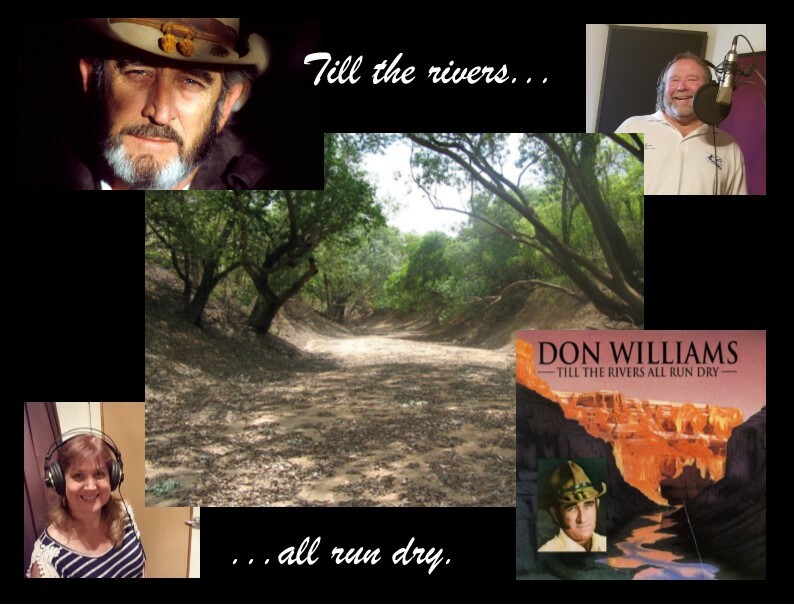 May Release - "Till the Rivers All Run Dry"
“Till the Rivers All Run Dry” is a classic Don Williams ballad, written by Don (along with Wayland Holyfield). The song was released in December of 1975 and quickly climbed the charts to the Number One position. Don’s smooth and soft-toned voice, along with his height of 6’1”, earned him the nickname “Gentle Giant.” Throughout his career, Don Williams was best-known for his beautiful ballads, always sung from the heart. Don Williams stopped touring in March of 2016, and he passed at home in Mobile, Alabama on September 8, 2017. This release is our tribute to the “Gentle Giant” and his musical legacy. The real magic and beauty of music lies in the fact that it can be so personal and speak different things to each person who listens. It may be due to Mother's Day, or her approaching birthday, but for me, this beautiful “I’ll be needing you” message brings tender feelings of my mother who left this world not that long ago. A few years after her own mother passed, my mother shared with me how frequently she still felt the need to call and talk to her. I get it, Mom. I totally get it. I’ll never stop needing you. Happy Mother's Day! CHIC 1041 in the male vocal range features the beautiful vocal from Chic Staff Caller, Steve Moore. CHIC 2041 in the female vocal range features my tribute to my mother. April Release - "Oh Happy Day"
“Oh Happy Day” was recorded by the Edwin Hawkins Singers in 1967. This was a new gospel music arrangement of an 18th-century hymn, and quickly became an international hit, landing in the top 5 of musical charts all over the world. Hawkins’ new arrangement has since been covered by many recording artists and was also featured in the film, Sister Act 2. Somehow, this song had never been translated to a square dance singing call (that we could find), and we decided it was about time it joined the square dance gospel music catalog. It’s the icing on the cake that we were able to release this song on Easter Sunday. 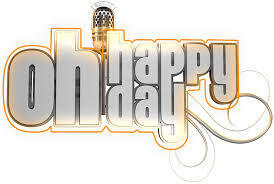 “Oh Happy Day,” indeed! Once we decided to adapt “Oh Happy Day” for a singing call, I knew this was the perfect song to feature the talents of the entire Chic Recordings Staff. It took some doing to get all the vocals gathered, and wasn’t without some hiccups along the way, but you’ll hear why I feel so blessed to have such talented callers in the Chic Recordings family. The Chic family wouldn’t be complete without the talents of Jimmy Mac. It’s his unique skill set that pulled all the tracks together, played the amazing music to go with it, built the background vocal “wall of sound” (which included singing some of the BGV himself), and once again made what I believe is some Chic magic. CHIC1040 in the male vocal range features the vocal talents of the Chic Recordings men. CHIC2040 in the female vocal range features the vocal talents of the Chic Recordings women. 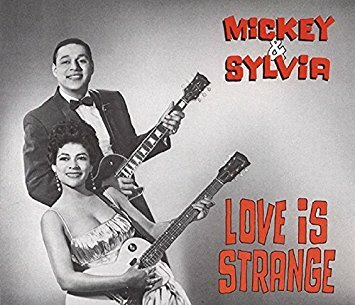 March Release - "Love is Strange"
Although previously recorded (quite well, I might add) by Chaparral Records, we felt that Chic’s “Duets” series was the perfect place for a remake that would capture the authenticity of the original Mickey & Sylvia hit. As always, Jimmy Mac managed to recreate the sounds of the original, this time using his Gretsch guitar for those iconic blues riffs. We made an effort not to overproduce this cut and capture the simplicity of the original hit. Chic Recordings Staff Caller, Scott Smith, was the perfect choice to record the male portion of the new duet, as it was his voice that brought the original Chaparral recording to life. The female portion of the duet was recorded by producer, Shauna Kaaria, who also had some fun attempting to capture the feel of the answer-back “Yeah-ays” and “no-o-nos” of the original. Bonus, now she can knock “record a duet with Scott Smith” off her bucket list. CHIC 3039 a duet suitable for both male and female vocal ranges, features Shauna and Scott's vocal. Introductory price is $7.50 and includes the music with and without melody, tracks for either vocal range to sing along with the second voice, and the vocal cut. 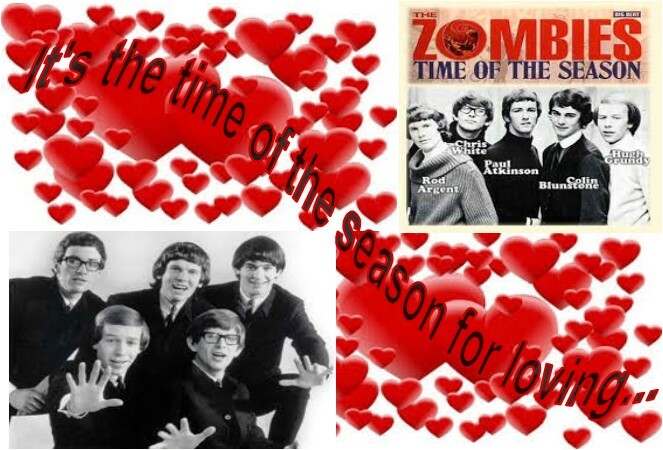 "Time of the Season" sale on love songs! Staff Caller Vic Kaaria delivered such a great vocal on our release of the 60’s classic “For What It’s Worth,” we just had to give him the vocal on the male key of this 60’s classic as well. Once again, he perfectly captured the sound and feel of the original. In January, Chic Recordings welcomed Patty Greene as an official Staff Caller and we quickly put her to work for our February release. We had fast-tracked the production of this song and with a very short window before our deadline, Patty delivered a great vocal with just the feel it required. Background vocals for both courtesy of Shauna Kaaria, with bass assists by Vic Kaaria and Jimmy Mac. BUT WAIT...there's more! Since February really IS the "time of the season for loving," we are having a "Time of the Season" sale on our love songs. Chic's love songs will be discounted to $6.00 each through Valentine's Day, 2/14/18. CHIC 1038 in the male vocal range features Vic's awesome vocal. CHIC 2038 in the female vocal range features the great vocal from Patty. 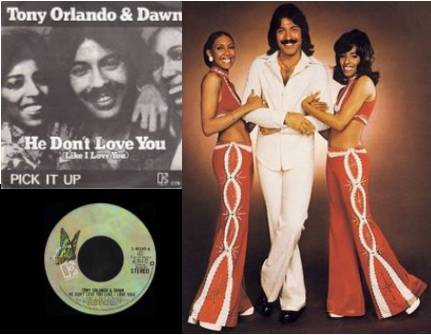 January Release - "He Don't Love You"
“He Don’t Love You (Like I Love You)” written by Jerry Butler, Curtis Mayfield and Calvin Carter, was released by Tony Orlando & Dawn in 1975 and quickly became a number one hit. It had previously been a top ten hit for Jerry Butler under its original title, “He Will Break Your Heart.” The song was also recorded by Dolly Parton with a title/lyric change to “She Don’t Love You,” which is just what we’ve done with the vocal for the female key. The female key was recorded by Chic's producer, Shauna Kaaria (me), with background vocals courtesy of Shauna and Jimmy Mac. CHIC1037 in the male vocal range features David's awesome vocal. CHIC2037 in the female vocal range features the vocal from Shauna. Our December release is another patter that is truly "Greater" and already receiving positive reviews. One caller said "I just downloaded my new favorite hoedown. Great job!" The original "Greater" is a song by the Christian group, MercyMe, and was brought to my attention by a recent class member. Using his iPod, I played the song over the speaker during a break at class. I was immediately hooked by the groove, and I wasn't the only one. Many other dancers rushed the stage to ask me the name of the song because they loved it! I went home and purchased the MercyMe track and began using it for patter with a great response from dancers. My girlish voice didn't battle too much with the male vocals on the original track, but a few of the male callers I know who tried to use it for patter didn't have the same success. So...into the studio we went to create an instrumental version that all callers (and dancers) could enjoy. The result is a fun track, full of dance, that will also be an uplift for any dancers who happen to know the original song. If they don't, the beat is gonna grab them anyway! CHIC4036 (4000 series identifies patters and hoedowns) is a "greater" piece of patter music that starts the feet moving from the first beat. Holiday Release - "Santa's Reindeer Ride"
The holidays are nearly upon us, so here we are with our annual holiday release! We have discovered that finding Christmas songs that have not already been adapted for singing calls can be a challenge. Last year we released "Baby, It's Cold Outside" as a duet, and followed it with Garth Brook's brand new song, "Ugly Christmas Sweater." This year, we step back to 1979 with a cute little Christmas gem by Amy Grant. 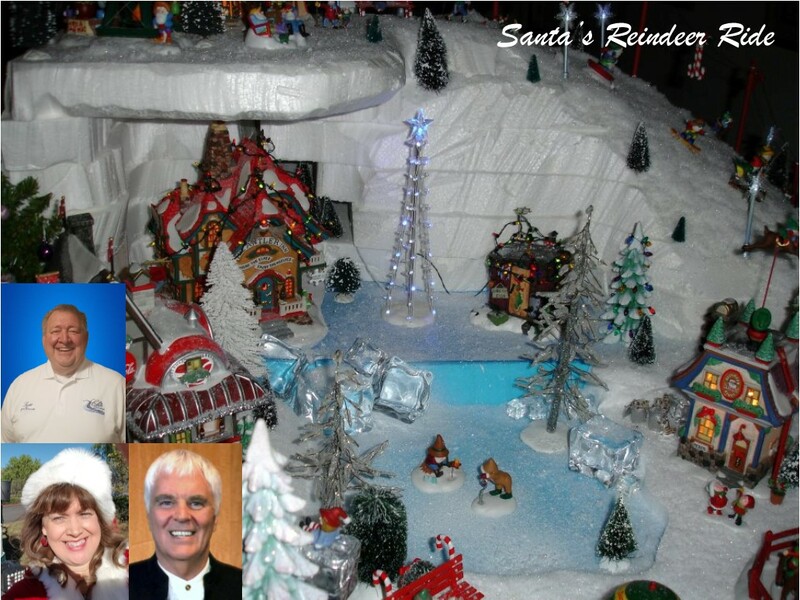 "Santa's Reindeer Ride" is a catchy and whimsical song we discovered on a Christmas compilation CD. The melody is just so very merry! It had to be a singing call. The male vocal was recorded by our newest Staff Caller, Scott Smith, and we invited his former Chaparral mate, Ken Bower to join him. What a treat to hear them calling together again! They both embraced the spirit of this fun song. This is Ken's first guest appearance on Chic Recordings, and we certainly hope it won't be his last. Ken and Scott also recorded the harmonies except for a little "la-la-la" help from Shauna Kaaria. CHIC1035 in the male vocal range features Scott and Ken's amazing duet. CHIC2035 in the female vocal range features the vocal from Shauna.